October is a great time for being out at the farm...especially when it includes pumpkins and apple cider. On the photography front, I did 3 photo shoots in one weekend and it was a blast! I am thrilled with how the pictures came out. It's like creating art. And I love to hang out with the people I do pictures for. 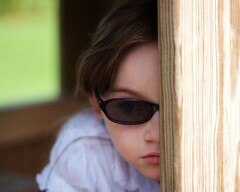 I'm so shy...I try to hide it but I'm sure it's usually seen. So working with people multiple times helps to shed that. :-) So I look forward to each session! And time goes by way too fast...the 2 hour sessions feel like one, and I feel like there just wasn't enough time (and yet I walk away usually with up to about 20 good pictures). 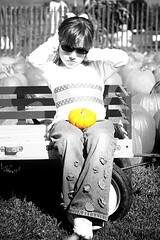 Until about the 25th, I'll be focusing on pumpkin patches and that sort of thing. Halloween costumes too! I will be at Eastview Mall on the 25th to donate my time to Buddies, Bridges, and Brains...an amazing charity program that donates books and blankets to children in need! I will be taking pictures there of the group working. So come on down and help by making no-sew blankets...they provide everything. :-) It's the same day as the trick or treating, but we'll be in the JC Penney court. I'll continue to do fall photos as long as people want me to. But November I'm going to start focusing on Holiday pictures. I do cards and just bought some for myself, for Katelyn's birthday...I...LOVE these. Not only is the quality of the image that they printed amazing, but the card stock is as well. And I can do the slim lines as well with image printed as well as message. I can even add a return address onto the envelopes! Great for Christmas, new baby, and all the holidays you send cards for. For Christmas, I'm going to see about getting a few little props, but I will still have the standard black or white background. So if you'd like your Christmas tree in the background, set up the appointment for when you've got that up and ready and I can do the whole family in front of it. Including the pets. That's it for this entry...my hand is killing me! We signed up Claudia to be in Daisy Girl Scouts. :-) And then on top of that I am going to be a co-leader of her troop. Tonight after getting my hair done, I will be going to a meeting with other leaders. Should be fun. :-) But it may at some point reduce my availability. I am going to be opening my website soon. I just need to gather a bit more money to purchase the design. When that happens, the site will have an appointment calendar that shows my availability and some other really great features. I'm really excited about it. Once that's up and going, I'll be focusing on another image editing software but that'll take a bit more time to save up for. Given the economy I may not see that until after Christmas. Right now I'm focusing on Halloween and fall pictures. And starting in the first week of November I'll also start on Christmas (so people can have cards ready and such...which I also offer). Winter will be a difficult time for pictures because you can't really go outside, and my current backdrop is a 5 ft. tent, which is sort of difficult to fit adults into (one reason I concentrate on children's photography). I have no problem going to a church, or if you have an indoor location you like and we can get permission, or even your own home. I can do outdoor if you want to go pick out a Christmas tree, for example. Or sledding excursions. And I know of a place that does sleigh rides. However, you'll need to consider outterwear carefully and potentially have a warm set, and a dress set...otherwise you'll have a toddler bundled in a snowsuit, and it'll be all you see. :-) so winter will be difficult, unless it's on location indoors. For outdoor photo shoots in the winter also, we will strive to only be out there as long as essentially needed, and I won't go outside if the cold is at a dangerous level. So checking the wind chill will be essential. I don't want anyone coming down sick! I know of at least two great locations for sledding in Penfield and Walworth. The Penfield location is close enough to Wegman's to go in and get hot chocolate or coffee afterwards. And the one in Walworth is near to my home, and the same...coffee and hot chocolate. So that could give an opportunity to warm up those noses and toes. Any other location, I'd like to be sure there is some place near to, to do the same...it's just a safety precaution. Currently, Long Acre Farms is having a TON of activities. If you would like to get pictures done there, be sure to bring along $10 per person ages 5 and up, and $6.50 for children 2 - 4 years to be able to take advantage of these activities. You can still go for free! But if you want to do the hayride, cow train ride, Back 40, Jumping Pillow & Amazing Maize Maze, the admission is a one-for-all activities. And they've got a GREAT selection of pumpkins! I spent about an hour and a half there yesterday and really, they're perfect carving pumpkins and painting pumpkins. I was half tempted to get one just for the seeds!